The Algoma Central Railway (ACR) is, in some cases, the only source of transportation to many private and outfitter fishing and hunting camps along the line. Many are not able to drive to camp or even fly in. 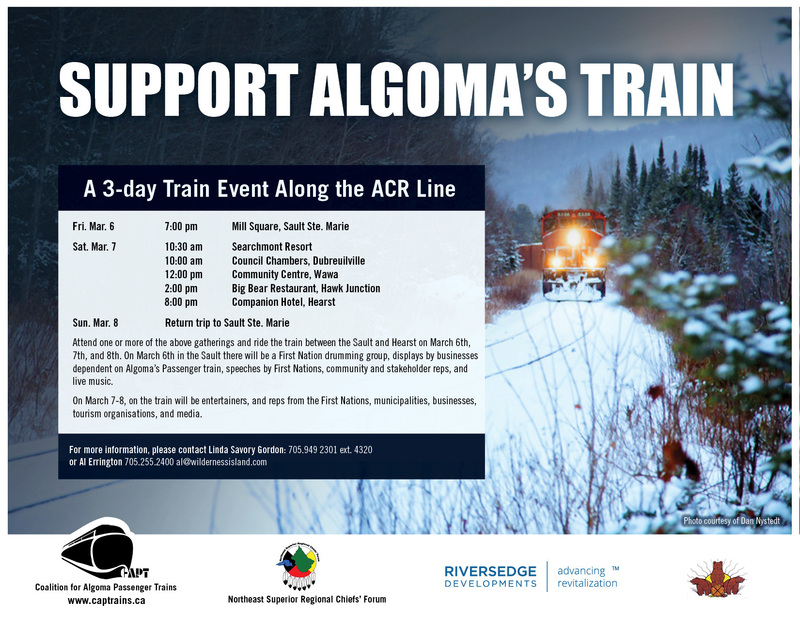 If you would like to support the ACR and have a delightful weekend, here's a 3-Day-Train Event.